Happy Hump Day! I know it's Fall and almost Halloween but I just felt the need to post something bright, whimsical and fun. You know, something that you can look at and it instantly makes you feel good inside. 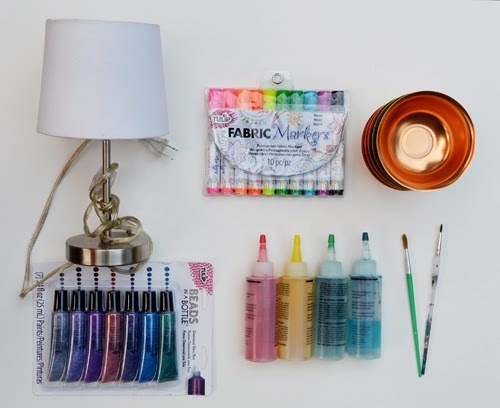 I will show you today how much fun Tie-Dye and Fabric markers can be. 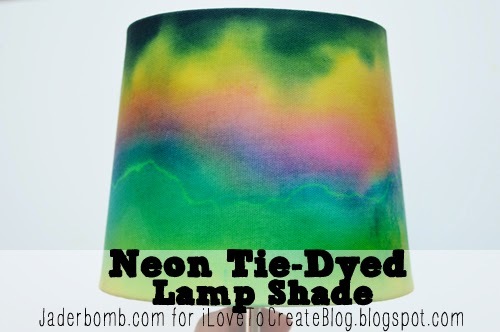 I am really happy with today's neon lampshade and I know you will love it! Let's go make a LAMPSHADE! 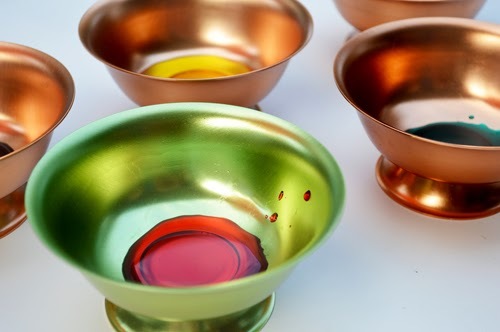 The first thing you need to do is grab your bowls and squirt some dye in them. You don't have to add a lot at one time because a little goes a long way. When you purchase your Tie-Dye pack it will come with instructions on how to mix it. It is really simple. 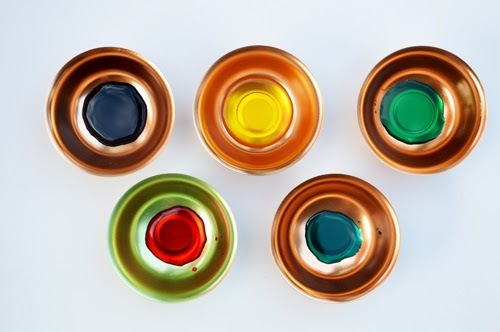 The bottles come with dye powder in them and you simply add water. If you want a visual, check this post out. 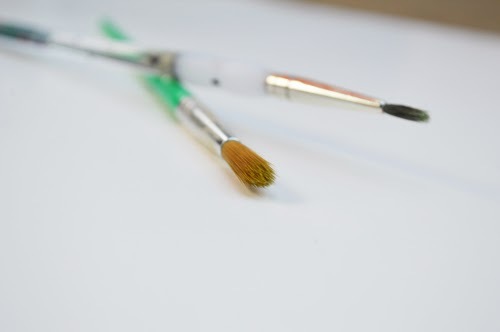 You can use any brush for this project. I like to use a round thick brush when I am trying to create a "water color" effect. The thicker the brush the more it will hold in it. 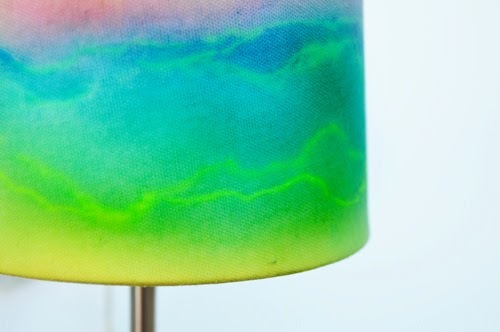 The first thing you will do is place your lamp flat on any surface and dip your brush in the tie dye liquid. It is very important to load your brush with lot's of die. I like it to almost drip off of my brush. 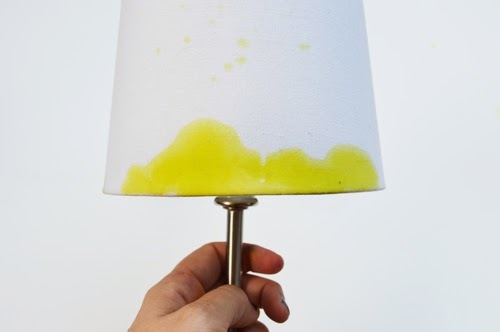 You will notice as soon as a drop hits the lampshade it will expand quickly outward. This is what my first color looks like. I added green right above my yellow since they go great together. You will get shades of lime green doing this. It's important to use shades that compliment each other. How gorgeous is this lampshade already. The next thing we will do is grab your Tulip Fabric Markers. I am using the pack that has NEON shades in them. If you don't want to use markers you could use the beads in a bottle instead. You will use the marker color that goes with the Tie-Dye color. 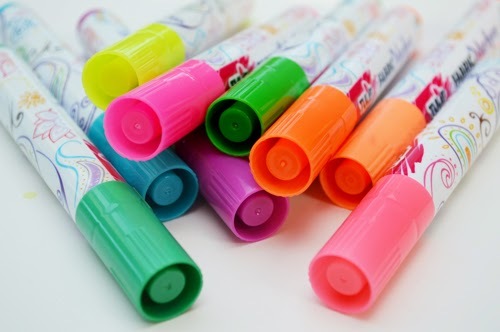 The markers should add a "soft" line that separates each color. I am not looking for hard, dark lines. 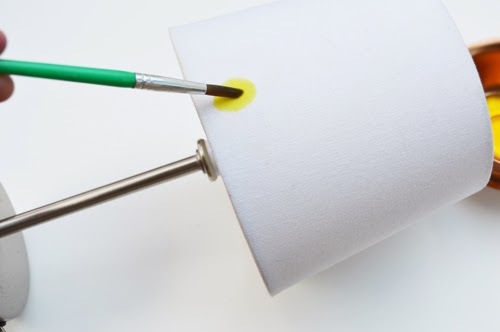 IMPORTANT: When you apply your fabric markers make sure you do this when the lamp shade is still wet. This is really important because we want the colors to "marry" each other and this won't happen if the lamp shade is dry. I hope you enjoyed this tutorial! I can only imagine beautiful, happy lamps like this all over the world making everyone smile. What colors or pattern's will you use in your lampshade? Let us know in the comment section. 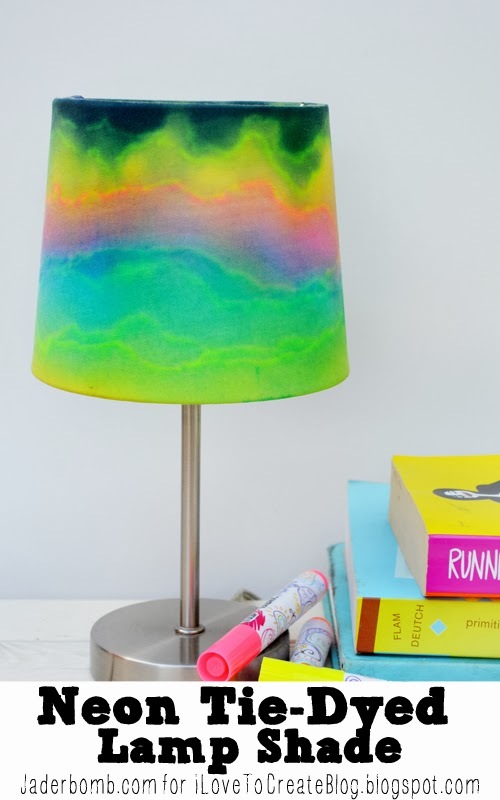 Don't forget to share all over the inter-webs because the reality is, everyone needs a Neon Tie-Dye Lamp and it's up to YOU to bring it to their attention. 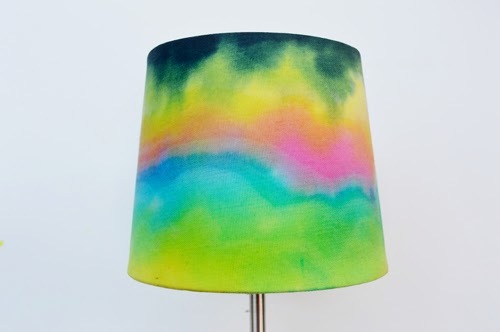 As someone who loves tie dye, I have never seen a tie dye article on a lamp shade. Nice stuff. I bet a lot of girls will be doing this one. This is a fun idea. 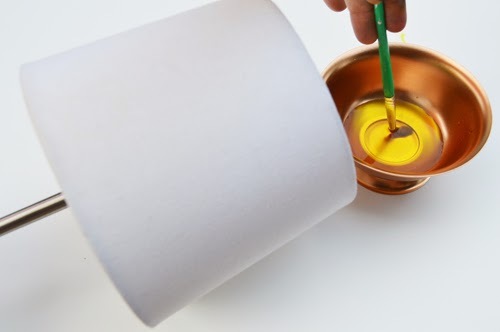 I don't know if I would personally choose to use so many colors, but there are some great tips on here that I could use to create my own sort of dyed lamp shade. Thanks for sharing! Tie Dyed Shop: So glad you enjoyed it!